There’s a show called Lookalikes that airs in the UK, a reality comedy series about people who think they look like certain celebrities. The English are very good at old timey tight assy manners AND trash TV. Anyway a few of the Lookalikes cast members (who “look like” Gordon Ramsay, David Brent, Ed Sheeran, and Jamie Vardy) appeared on ITV’s This Morning today. You can watch a short video of all the lookalikes here. Please note the dude who’s the “lookalike” for David Beckham. Twitter was not having it. This was my first laugh of the day – is that a good sign or a bad sign? 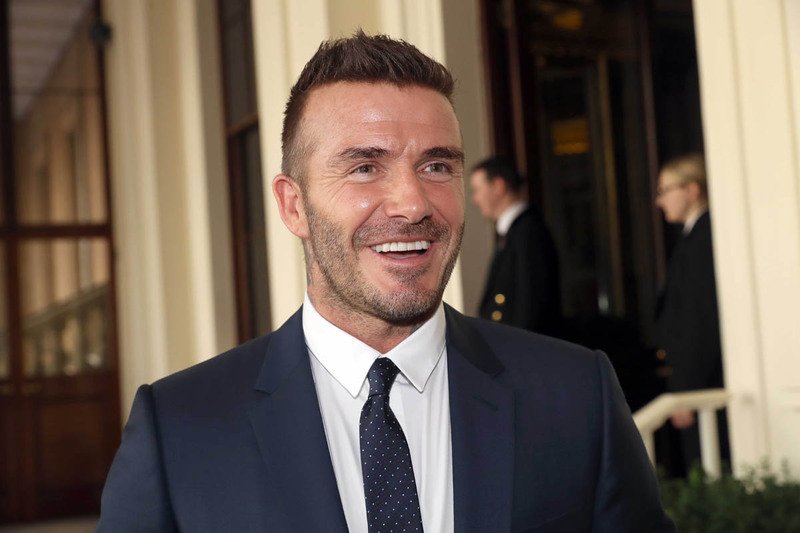 Has this lookalike even seen David Beckham? @thismorning @hollywills ??? 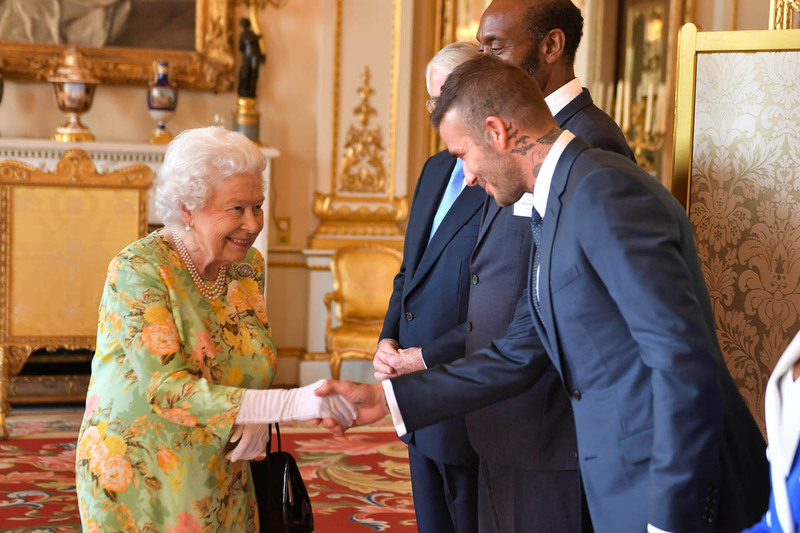 On Tuesday the real David Beckham was at Buckingham Palace at the Queen’s Young Leader Awards. There was no photo taken of Becks with the Sussexes, Harry and Meghan. 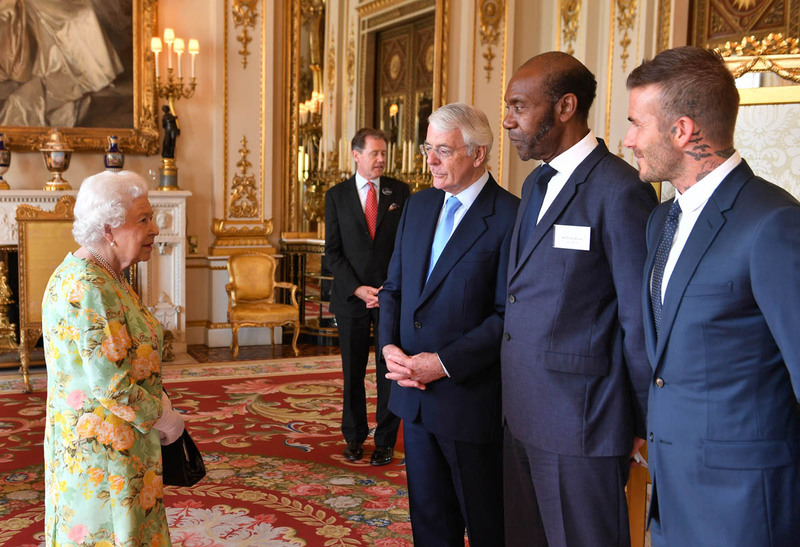 He did, however, share a giggle with Her Majesty because upon greeting him she asked, “Are you not watching the television?” That was meant to imply, of course, that he would have rather have been watching the World Cup. I wonder what the Queen thinks of all his tattoos. As for Becks and his World Cup watching, where was he watching the major Germany upset yesterday? Today/tonight is the one he really doesn’t want to miss. It’s the big showdown between England and Belgium. Brazil yesterday, by the way, was playing their match in the evening in the UK. Keep that in mind for an upcoming post about the Beckhams.